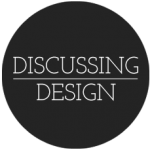 Webvisions Chicago | Discussing Design - Paying attention to the details of design critique. Paying attention to the details of design critique. What are your questions about critique? Getting feedback from clients, teammates, stakeholders and others on a design can be terrifying and excruciating. Most of us have had the experience of seeing our designs berated and torn apart, or sitting through painful meetings listening to people react to our designs only to leave with nothing of use in making decisions on what should be kept and or iterated upon. Want to include us in your event or have us train your staff, let us know. © 2019 Discussing Design - Paying attention to the details of design critique.. All Rights Reserved.